Jerry graduated from the University of Dayton in 1984 and has been in the financial services industry since graduation. Jerry spent 9 years in the credit and lending industry and began his investment career in 1993. Prior to joining Wealth Planning Corporation in 2018, Jerry worked with individuals assisting them with their retirement, college and estate planning needs. Jerry received his Certified Financial Planner designation in 2006. Jerry resides in Springfield Township with his wife, Amy and their four children. 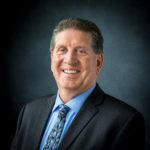 Outside of work, Jerry has coached his children in basketball, soccer and baseball and has served on the St. Bartholomew Athletic Board as Treasurer and President. In his free time, Jerry enjoys watching all four of their children in their athletic events.